How to cope with your kid’s nightmares? Your kid ran into your room and told you about monsters and being chased by dinosaurs. Worse still it was a horror story. You are pretty much sure that it was a nightmare, which to some extend you are not sure how to cope with. The truth is there are no way we can prevent nightmares and unless the child is having a similar nightmare every night, you need be too alarmed at the moment as there are always methods to go about with it. 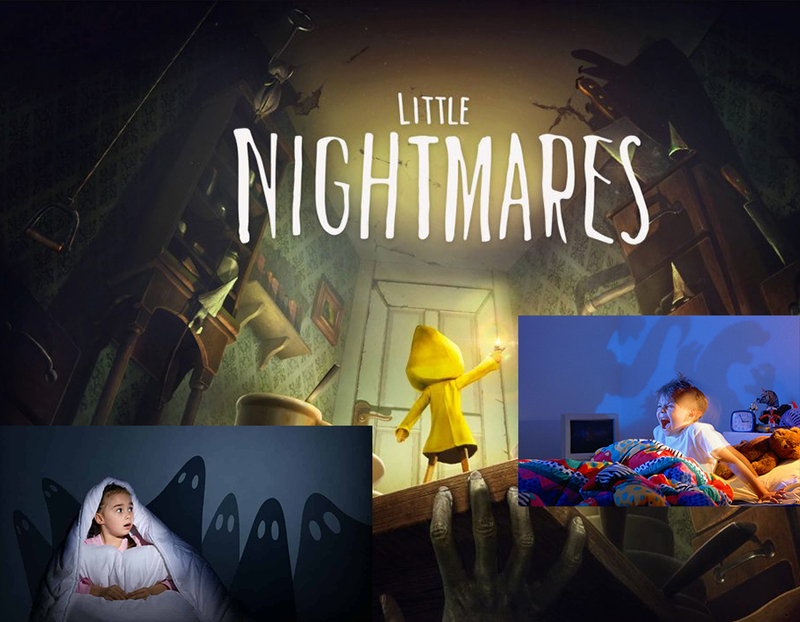 You have to be aware first of all that dreams and nightmares are common among human beings but kids in the homeschooling years tend to get more of them and hence might develop the fear of darkness and such. Of course you would not want your kid to grow up being too scared of the dark which might affect their sleeping habit then, so it is good training that they learn to sleep on their own in the dark as soon as you feel they are ready to do so. Considering that adults and the older people also get nightmares you have to rethink back on how you learnt to cope with these when you were a kid. A lot of people learned to cope with nightmares by the assuring words of their parents or with some sort of confidence when the go to bed. So it is with your kids, where you are unable to help them from avoiding nightmares you could help them by giving them the best possible confidence when the sleep so that when there are nightmares, they know where and what they can do. You have to first understand that nightmares and dreams usually occur around the sleeping stages where the brain is sorting through the day’s new information for future learning and into memory. This is when the brain processes these images where it might lead to dreams and nightmares. Most people would experience that when you are awaken from a nightmare, such images are still very fresh in your mind which gives you the illusion that they are real. In the kid’s point of view, they panic easily and would call you out for assurance. The â€œit’s only a dreamâ€ would usually come in very handy in these situations and before you can use them too much you should let your kid know what and where dreams come from. One of the most common mistakes that parents make when their kid comes up to them complaining of a nightmare is to want to quickly get them back to sleep so that you can go back to sleep yourselves. While this is a common reaction especially when it is happening in the middle of the night and you are looking to wake up early for work the next day, you will have to take time to slowly assure your kid back to sleep whether you like it or not. This usually take about half an hour to about 1 hour depending on how well your child copes with that. But never in a million years brush your kid away as they will not know where to go the next time they face a similar problem. Despite numerous studies and research there are no concrete evidence of how nightmares come about. One of the most apparent reasons would be that we experience them due to what we see or learn everyday. Coupled with some negative emotions like anger, stress or depression we tend to ‘invite’ these thoughts and dreams easier than usual. So it is important especially for children to experience minimal stress in their childhood in order to avoid countless nightmares. The most common affects that a child will have when experiencing nightmares would be if they face some sort of traumatic events like disasters or accidents, hence it is vital that your kids are shielded away from these as much as possible. Furthermore if the kid has a good sense of imagination, exposing them to horror movies or fantasy books might encourage dreams with a scary twist to them. So you have to somehow be careful with what they read or watch on TV if you are to give them the good night rest they deserve. As long as your kid have proper and a good night’s sleep, they will get sweet dreams. If the family is always arguing, television always blaring and such, chances are your child will feel the effects of them. So you should start encouraging your kid to sleep and wake up at a standard and regular time. Before they sleep, give them assurances that if they need you you are always around the corner. Help them to relax by reading them bed time stories and such. As parents, whether or not you notice it, pulling the blanket up to their necks and two small pats on the head or chest makes a whole lot of difference. Always avoid tension and scary movies around bed times, this would definitely help. Since you cannot control the emergence of nightmares you will have to deal with what happens after that. This is where you will have to play the good cop part, giving the assurance that you are there, tell your kid that it was a bad dream and its okay now, offering the comfort that they want from you and then reassuring them that going back to sleep will be fine. One thing to take note, you must always listen to them before brushing it off as a ‘bad dream’ and then everything will be fine. This would most likely be where you will have to start talking your kid back to sleep and takes up a lot of your sleeping time. Bringing up children requires sacrifice and these are some of the moments when you will feel most evident about it. From there you might just need to start telling another story, tucking them in all over again or you might have your kid sleeping in the same bed with you. While this is one of the best and most confidence boosting ways to help them sleep, it might not be the best solution in a long run so eventually you would need to have your kid back in their own rooms. Whatever the case, nightmares are inevitable and anyone would need to learn to cope with them. Your kid might not be able to overcome them immediately but with a little help from you, they will eventually come in terms that dreams are dreams and things will be fine once they wake up and that it is now safe for them to go back to sleep. After all, if all else fails, they will always have you to fall back on, who is just around the other room.